It’s no shortcut, but crowdfunding can be worth the effort even for small nonprofits — and not just for the money. How can you make it work for you? It’s rarely a quick and easy way to bringing in big bucks. But the effort required to crowdfund successfully can be well worth it, even for small charities with little resource to spare. 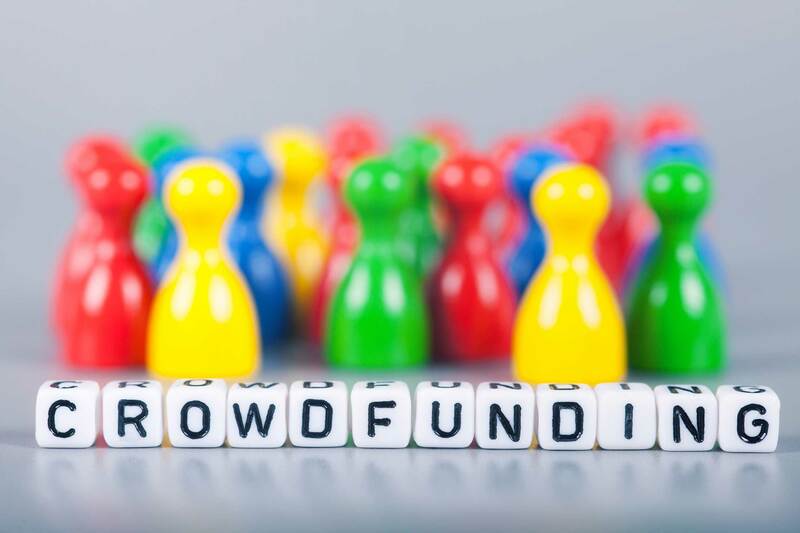 MissionBox asked three experts how crowdfunding can work for modest-sized nonprofits, and what they can realistically aim towards. "Be ready to prioritize your campaign." That’s the first piece of advice Breanna DiGiammarino, senior director of social innovation at Indiegogo, gives nonprofits. "I hear many organizations saying, 'We’ll just do a little test, to see how it goes.' But if you don't put your full effort into it, it probably won’t do well." "You get out of it what you put in," agrees Jessica Bailey, founder of U.K.-based consultancy Crowdfund360. "Trust and relationships take time to build, and that’s what crowdfunding is. You can't just meet someone for the first time and ask for money, right?" She advises allowing eight weeks to plan the campaign (spending about 10 hours a week on it) and around five weeks to run the campaign (at least 15-30 minutes each day). Newcomers to crowdfunding often underestimate this investment. They might assume they can reuse existing content — say, uploading a generic video they made for a fundraising gala. But that doesn’t usually work, DiGiammarino says. "People who donate through Indiegogo really want to feel part of something specific, so the video needs to be tailored for the particular campaign. Even a personalized video shot on an iPhone is better than a generic one shot with professional equipment." First-timers also assume that their work is done once they’ve launched. But that’s just one of many stages. Regular updates are really important, says DiGiammarino, so plan ahead: what kind of content will you be able to post as the campaign unfolds? Which influencers — celebrities, bloggers, journalists — could you try to get on board to share it? "You could have the best story and marketing material, but it needs to be seen by your target audience," says Bailey, "You can’t crowdfund without a crowd." That’s why the crucial work happens before you even launch: using staff, volunteers and key donors to secure the first pledges, and spending time first identifying potential donors and then creating a plan for reaching them. You may only have one part-time staff member or volunteer available, but you can still pull off a successful campaign by assembling a supporting team, says DiGiammarino. That means sharing tasks among staff, volunteers, the board and other supporters. Maybe a filmmaker in your network could edit some short videos, a volunteer could take care of the social media or a corporate partner would donate something you can use as rewards. Nonprofits also need to get the whole organization on board, even if some staff are not actively involved in the campaign. "Often you get someone from one department who wants to crowdfund, but you really need [support across all departments], as well as from leadership, the board and volunteers," says DiGiammarino. Getting those people on side early can pay off: board members might bring in those crucial, early-stage donations from their networks. And you can involve colleagues without demanding too much of their time. Bailey suggests providing pre-written content they can share online, or creating a staff challenge to see who can make the most referrals leading to donations (platforms like Indiegogo can help you run a referral contest). Use subtle marketing tactics as well, such as asking colleagues to promote the campaign via their social media profile pictures or email signatures. Let your supporters do some of the work. Some platforms, like CauseVox or JustGiving, allow charities to set up individual fundraising pages that link into your organization’s page. Supporters generally raise around 10 times the value of the average direct donation to a charity crowdfunding page, says Jack Scriven, head of strategy for individual giving at JustGiving, though this varies (on bigger campaigns, individuals raise around 30 percent of the total achieved). This approach is especially effective for emergency or crisis appeals, Scriven adds, when people feel compelled to do more than just hand over cash. Match funding is also a great way to boost your total. If you don’t have a willing corporate sponsor or philanthropist, look for platforms offering additional funding, such as LocalGiving, Spacehive, GlobalGiving, StartSomeGood or Crowdfunder — the latter currently has over £4 million of extra funding available through various match funders. In the nonprofit sector, where results are often difficult to measure, a big appeal of crowdfunding is how clearly you can track success. But what does success look like? The total number of backers is one good measure: the more you have, the broader the base of support you can draw on in future. The number of new social media follows or email sign-ups during the campaign is also worth tracking, whether you reach your financial goal or not. Speed of reaching the final target is not necessarily important, but charities should still aim to hit at least the 30 percent mark within the first week, says Bailey. Getting to that "magic" 30 percent figure is such a strong indicator of ultimate success that many platforms advise lining up pledges for that amount before your campaign goes public. Of course, nonprofits will be most focused on the amount raised. So how high should you aim? The average donation is £25, says Bailey, and a reasonable target can be based on the size of your current following: "You cannot expect to raise £30,000 if your email list and social media following only totals 300 people — if only a third of them each give £25 and you don’t have much time to put into further outreach, you can only expect to raise around £2,500." Bailey says she sees an average of around £7,000 reached for U.K. charity campaigns, though some hit tens of thousands or even £100,000 or more. You don’t always have to aim for the stars, though. Some nonprofits run multiple, smaller campaigns that bring in anything from a few hundred to a few thousand pounds. That seems to work particularly well for animal charities or for some children’s charities, says JustGiving’s Scriven. Such causes work well for small appeals with a very specific cause — one particular animal that needs to be vaccinated and rehomed, for example. Running several lower-profile campaigns is also really valuable, he adds, because it gives a small charity the chance to grow their network over time, and to adapt their approach if needed with each new effort. DiGiammarino echoes this, saying crowdfunding is a great way to learn more about those supporting your cause. "It’s a way to find out what messages work [with your supporters], what language works, what donation levels they are open to, where they are from geographically," she says. Want more insider advice? 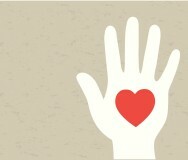 Read these success stories of small charity crowdfunding campaigns. Indiegogo: How do I run a referral contest?